Jodie King is a contemporary artist whose artwork contains story elements with layered imagery. 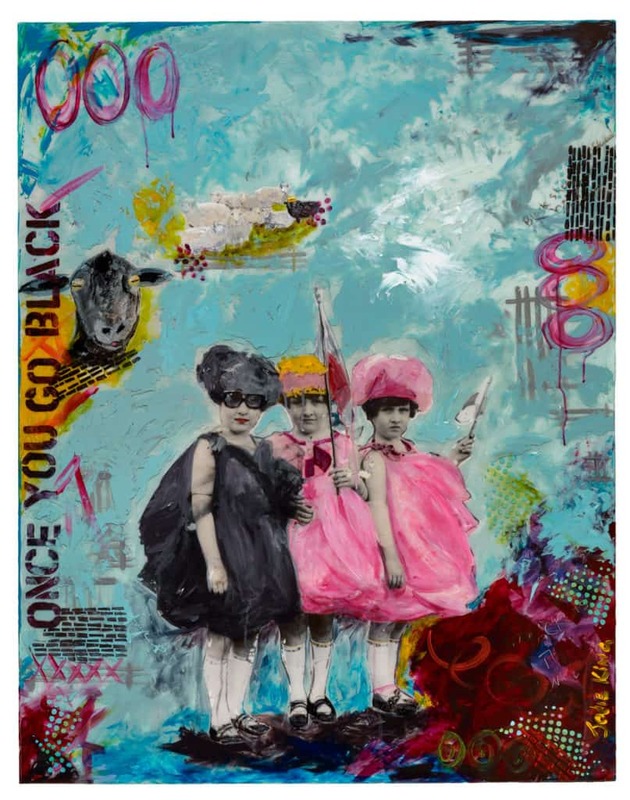 Each piece of Jodie King’s art tells a story. The Direct Mailers we created shares just one small chapter to entice potential buyers and thank existing ones. The mailers also serve as a vehicle to tell her story. 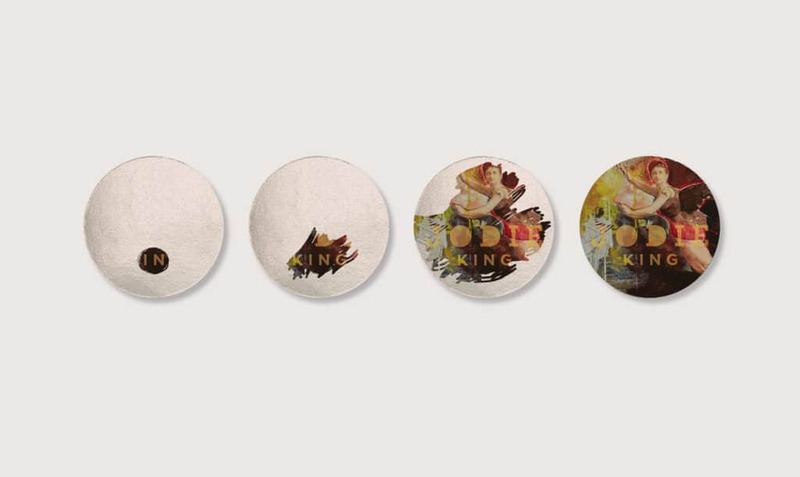 We created scratch-off business cards, using the “in” as a message directing the recipient to uncover King’s art story underneath. 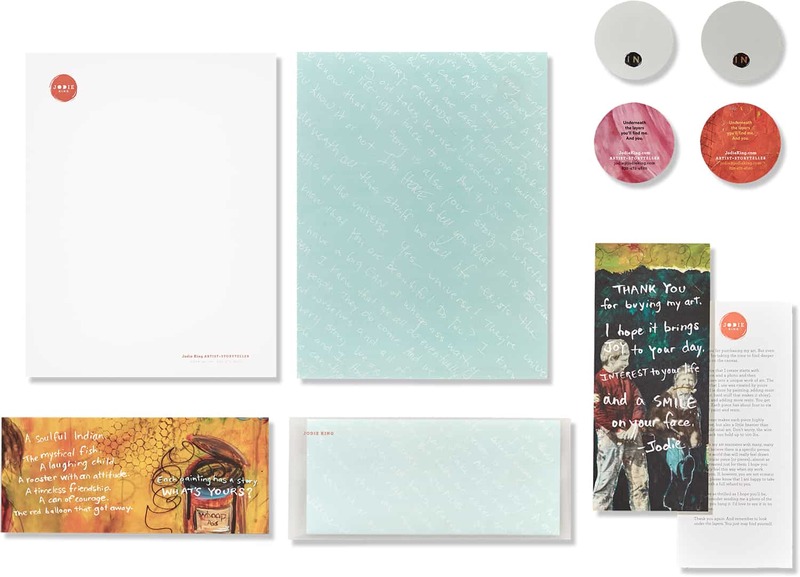 Stationery featuring King’s handwriting and deep thoughts, further pull the recipient into her realm of thoughtful play and ideas – encased in a transparent envelope, making her world even more accessible and inviting.